One of the great delights of city life is being able to look up and find a whimsical or horrific stone face above a doorway, on a parapet or a wall. This is collection of some of my favorites. 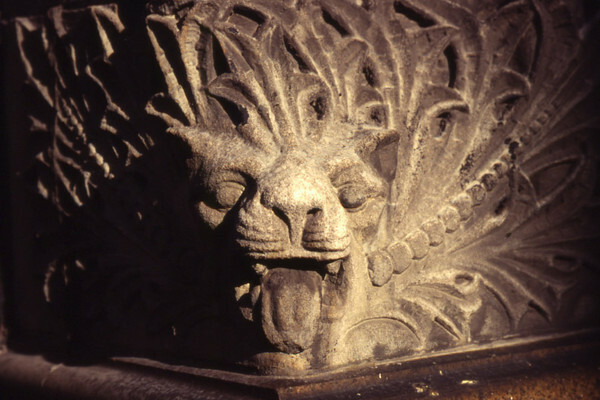 Included are gargoyles, grotesques, bas relief and other architectural ornamentation. Lion Face, New York City.